← How is the Arc Trainer Different from an Elliptical? 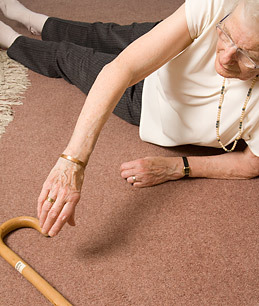 You may have heard that balance training is a vital part of fall prevention which is increasingly being discussed as a key part of seniors’ programmes. Whilst balance does have a role to play, we might just be missing a trick because if you haven’t developed movement capabilities. Although you might be aware that you’re off balance, you may not have the reaction speed or muscular response to correct that potential fall. The key ingredient here is power. For the record, it is never too late to develop power and due to their often de-conditioned state, seniors can make some spectacular improvements (just don’t expect them to leap tall buildings in a single bound, etc.) 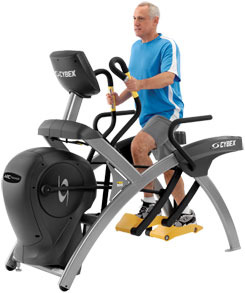 A terrific way to start power training with minimal stress to the joints is to use the Cybex Arc Trainer. If you’re lucky enough to have the latest 750A or 750ATversion in your facility then there is even a custom-made programme to facilitate this – it is the second Advanced programme called Adaptive Power. The tremendous advantage that Adaptive Power Training has is in its “adaptive” nature. You, regardless of your training level, can take advantage of the dramatic changes in workload without having to adjust anything. Give it a try and incorporate this key element of falls-prevention programming safely…power for the people to stay strong and injury free!